Before Dark Souls came Demon’s Souls, and for many, it’s a treasured experience that they would dearly like to see remastered. In a new interview, series creator Hidetaka Miyazaki has addressed the possibility. First and foremost, it’s not up to him. Like Bloodborne, Demon’s Souls was published by Sony, so it would have to approve any remaster: “You’d have to see what they’re thinking about it,” Miyazaki tells GameInformer. This also means any such remaster would likely be a PlayStation exclusive, just like the original (though there are shady ways to play Demon’s Souls on PC). It’s not beyond the realms of possibility. Sony quite likes remastering its first-party classics, with examples including Spyro, God of War, and Shadow of the Colossus (which got a full remake). Miyazaki says his personal feelings on the prospect are “complicated” because he has “fond memories” of “the first action fantasy game that I created”. To those who never understood the Dark Souls phenomenon, the demand for a Demon’s Souls remaster must seem strange. It’s a rougher game than Dark Souls – let alone its sequels – and in my experience is one of the hardest in the series. But it pioneered many of the ideas and philosophies that Miyazaki would later refine to such success that they’ve created a whole genre of imitators. 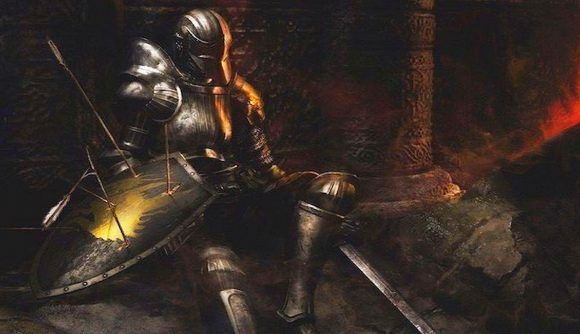 Those ideas are raw and fresh in Demon’s Souls, and together with the challenge and commensurate reward that has become the series’ trademark, it’s no surprise to me that it still has dedicated fans, especially among those who played it before Dark Souls. You never forget your first, as they say.